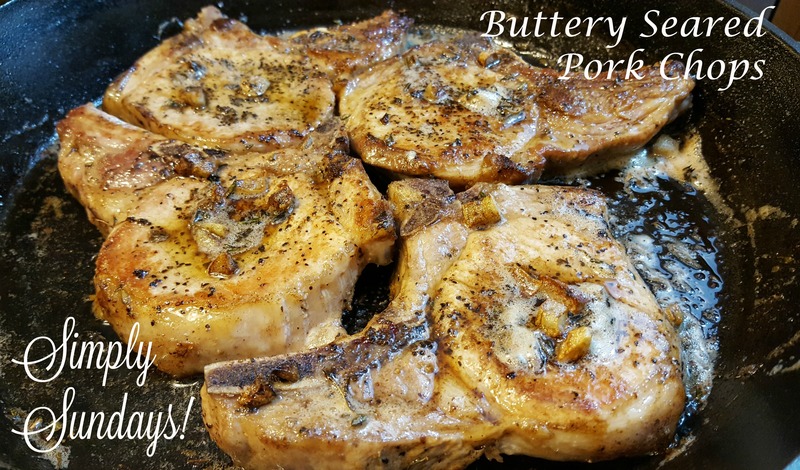 Buttery Seared Pork Chops – Simply Sundays! I’ve finally found the secret to making the most juicy, delicious pork chops you’ve ever had! It’s a super high-heat method that sears the pork quickly which gives a great crust and then is basted with delicious herbs, garlic and, oh yes, butter! Look at that delicious crust… mmm…. After the second sear, put the cast iron pan of pork chops into your 450 degree oven for… you’ve got it, 3 more minutes! Spoon that buttery goodness over each of the chops and dive in! I served these chops alongside Crispy Potato Rounds – check them out… so good! 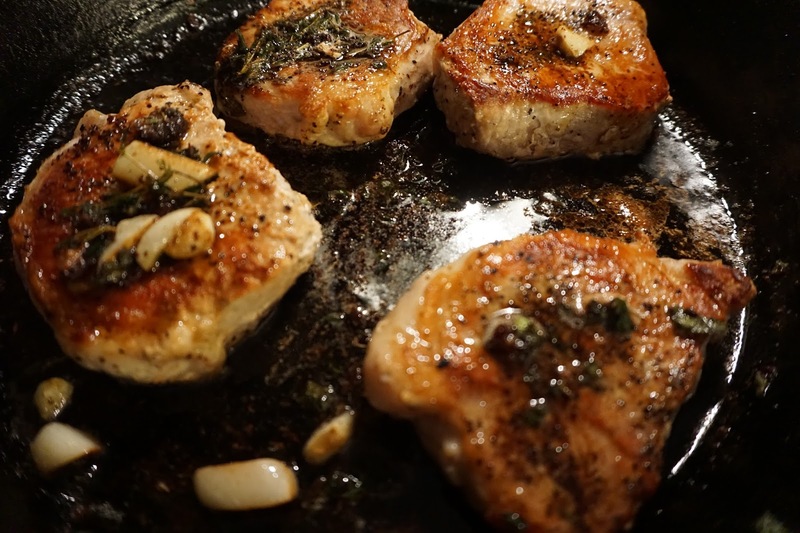 We made the seared buttered herbed pork chops again tonight. It’s one of our favorites!! Ours too! Glad you like them!